Spring arrives and the garden beckons. The urge to plant seeds and pick flowers is strong. But first, the chores must be done, and the big garden chore that looms over all is preparing the soil for planting. We open the shed and stare at the tiller (or we go to the garden store and stare at the tillers). Lugging the machine out into the yard we check for fuel, check for oil, push the lever to choke and yank on the chord. If we are lucky, it fires up with only a pull or two. If not, well, we stand back, glare at the machine, pull the chord some more, kick the infernal machine, push some levers back and forth, pull the chord, flood the engine, and lug the thing back into the shed. That was me last weekend. I had one bed that I really wanted to till up, but for the first time in three years I couldn’t get the tiller started. Not being mechanically inclined, I returned the tiller to the shed and grabbed my broadfork instead. I discovered the broadfork three years ago, about the time I was really getting into my veg gardens. All the flower beds around my house I had dug by hand, and doing the same with the veg gardens was daunting, so I bought a tiller. After running/bouncing it over the lawn a few times, I still had to dig by hand to remove all the rocks and weeds and clumps of grass. What had been the advantage of getting this $300 machine that now stood idle in the shed? I read through some of my gardening books and came across the broadfork in a book about Biointensive gardening. This method espouses double digging, in which the gardener starts at one end of a garden, digs down with a shovel one shovel length, puts that soil in a container, and digs down another level to just loosen the soil. This can be done with the broadfork – a tool that breaks up and loosens the soil without disrupting the soil’s structure (more on this in a moment). This tool looks exactly like its name: a fork that is rather wide. It has 6-8 tines attached to a horizontal bar, with handles emerging upright from the ends of the bar. One thrusts the tines into the ground, steps on the bar, and then grabs the handles, levering the tines through the soil. It’s a primitive thing, but it works great! You then back up and start the next row of digging. The first layer’s soil goes into the trough you just dug, on top of the broadforked soil. The second layer is now forked. This continues until you reach the end of your bed. After you broadfork the last layer, the soil you removed from the first row is placed on top – the loop is closed, the system complete. Over the years, my garden reading has come across many justifications for not tilling the soil. I first learned of no-till agriculture in a conservation class I took many years ago in college. We were reading about the Dust Bowl and how the advent of no-till farming helped cut down on soil erosion. In today’s gardening world, however, the idea of no tilling has more to do with “being green” – not polluting the air with gasoline fumes, cutting down on our carbon footprints. But it’s more than that – it’s also about preserving the vitality of the very soil itself. As soil develops, layers are built; this is the soil’s structure. But the structure is more than mineral and organic layers; it is also the layers of living things: the worms, the beetles, the fungi, the bacteria. All these things work in concert to create a healthy environment in which plants can grow. When we run through this carefully balanced system with our rototillers, we mix everything up, disrupting the health and balance. Can your plants still grow in it? Of course, but the soil’s vitality has been reduced. By using the double digging method we preserve the soil’s structure. We are essentially fluffing up the soil without turning it on its head. So I took my broadfork to this final garden and applied it. I was anticipating a struggle with hard-packed soil, but to my pleasant surprise the soil loosened up with hardly any effort at all. Maybe this is because last year the bed was built without any tilling: I layered tons of newspapers on the lawn and covered them with compost and manure. I was expecting the soil this year to be hard – that preparing the bed would have me digging down through the hard lawn under the papers (hence my initial attempt at using the tiller). As it turned out, the layers had successfully (for once) smothered the lawn underneath and all was cool, moist and soft – the easiest veg bed I have ever prepared. Maybe the tiller will go in my next yard sale. Last summer I grew some amazing sunflowers – they must’ve reached ten or more feet in height and over a foot across the blossom! I also grew some smaller sunflowers, in all shades from a chocolaty red to a brilliant yellow. My sunflower bed became one of my favorite gardens, especially last fall when the chickadees came to steal the seeds (afterall, I planted the flowers to provide food for the birds). Most of us have heard about the crashing honeybee populations, better known as Colony Collapse. There are many theories out there as to why it’s happening, but I don’t think anyone has nailed down THE reason yet. Honeybees, however, are non-native insects, brought over to this part of the world for their honey-making skills and pollination efforts. That said, North America is home to many native bees (over 4,500 species of bees, according to the Great Sunflower Project’s website), most of which are important pollinators in their own right. But even many our native bees are having some difficulty surviving these days. 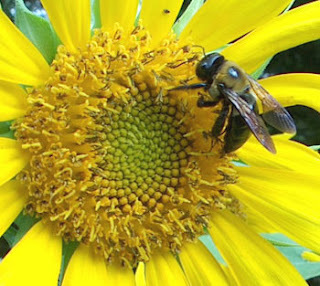 One reason, according to the website http://nature.berkely.edu/urbanbeegardens, is how we are gardening. The latest gardening fad is mulching, either with natural materials like wood chips or with synthetics like plastic or landscaping cloth. Mulching is touted for its weed-suppressing, water-conserving qualities, something every gardener appreciates. These ground covers, however, make it nearly impossible for ground nesting bees to find ground in which to nest. And in urban areas, which already have a surplus of impenetrable ground, thanks to roads, driveways, parking lots, lawns, etc., this can spell doom for some species of bees. So, the Great Sunflower Project is recruiting gardeners, students, teachers and general nature nuts like me to survey our gardens for bees. If you sign up early enough, they send you a free packet of seeds (this year it was Lemon Queen Sunflower seeds). It’s too late now for the freebie seeds, but you can find Lemon Queens at many seed shops or catalogues. You plant your seeds, they grow and bloom, and then you watch for bees, timing how long it takes for five bees to show up at your plant(s). You send your data to them and that’s about it. But they aren’t looking for just any ol’ bee. Specifically, the sunflower folks want to know about bumble bees, carpenter bees, honey bees and green metallic bees. A quick buzz through their website will provide you with ID info for these species – it doesn’t get much easier than this! Perhaps you don’t have sunflowers, or maybe you aren’t a sunflower fan. Not to worry – you can also monitor bee balm (if you need some, see me – I have a surplus of the stuff), cosmos (great companion plant for your veg garden, by the way, because it attracts these important pollinators), rosemary, tickseed and purple coneflower. Maybe you are hesitant because you are afraid of getting stung. Did you know that bees are really quite shy and mostly are just too busy going about their own business to worry about you? About the only time most bees “attack” is if their nests are threatened (and by the by, male bees lack stingers). So if you are just puttering around your garden, taking notes on bees, they will happily ignore you and continue collecting pollen, sipping nectar, or looking for mates. Need more reasons to participate? The Urban Bee Garden website has some great tips for bee watching, including interesting bee behaviors you can witness. For example, some male bees actually sleep overnight inside flowers; if you get up early enough you can catch them snoozing in their blossom bowers. Other males are very territorial, protecting “their” flowers from other males. In truth, they are on the lookout for females and spend most of their time driving away potential rivals. This weekend I will probably plant my sunflower seeds and brace myself for the influx of bees. I’ve already noticed bees of many stripes about my gardens, some at the flowering shrubs, others hovering over bare ground, no doubt testing its potential for a nest site. I know that my yard is a great bee haven, thanks to the many flowering companion plants I scatter among the veg, but also thanks to my lax gardening standards: mulch is spotty at best these days. Watching the flowers for specific bees will give me just one more excuse to stay outside and learn something new about my fellow earthlings; the vacuuming and dishes will have to wait for another day. One of my favorite things to do during the summer is go to farmers’ markets. I’m especially connected with the one held on Wednesdays at LPCA in Lake Placid (between 11 am and 1 pm). I see so many people I really enjoy – visitors and vendors alike. You can listen to live music while shopping for veggies, flowers, plants, meats, cheese, smoothies, coffee and beautiful crafts. There are so many farmers markets in the park that I’m going to defer to Adirondack Harvest which gives details and times for all of them. 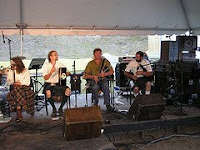 Another won’t miss for me is the 2nd annual Irish Festival to be held at the Olympic Jumping Complex in Lake Placid. Shane O’Neil and John Joe Reilly are the founders and they have so much energy and love for the traditions in Irish culture that I’m sure with each year the event will grow. Great music provided by internationally known piper Micheal Cooney who, by the way, happens to live locally and Pat Egan, one of my favorite guitarists. Many other musicians and dancers will be contributing to the continuous sound. I even heard a rumor that The Dust Bunnies will be there – they’d better learn an Irish tune or two. The music combined with games (like tug of war and tossing a bale), good food and beer all make for an enjoyable two-day event. A perfect way to celebrate the end of summer. A new for me event I’m very excited about is Childstock on July 18th in Malone, NY. This is a rain or shine grassroots festival started by two guys talkin’ over a beer – one had a band, the other land. Now in it’s fourth year Childstock has grown. There will be live music from 1 pm until at least 11 pm. The first half of the day is acoustic, including Eddy and Kim Lawrence, then electric, including headliner Raisonhead, to take you into the night. 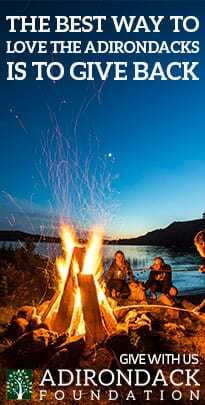 With free camping, local food vender Shawn Glazier on the premises, a safe site (there will be underage wristbands given out as ID’s are checked) and coolers and grills allowed, there is everything you need to have a phenomenal Saturday. Started by founders Ralph Child and Micheal Lamitie, Childstock is named for the farm that hosts the event. It’s located off of Route 30 as you head into Malone from the south. You turn onto Cosgrove Road (at Carla’s Greenery and there will be a sign) follow it to the end and make a right onto Child Road just for a moment before turning left onto Royce Road – parking will be on your left. Here’s the acoustic line up though not necessarily in this order. There are a few acts from Malone: Liz Hathaway, a folk singer who does all of her own originals, Nick Poupore, a high school student who is reminiscent of Neil Young and Micheal Lamitie and Micheal Werhrich calling themselves Tadd Ruff, Saul Good and The Lou Daques, this band performs folk rock covers and originals. Eddy and Kim Lawrence from Moira and Mike Shepherd from Lake Placid. Electric rock to keep you dancing into the night: Headliner Raisonhead is doing two full sets with these local acts in between, From Malone; Save The Humans and The Nebulons . Families are asked to donate $25, individuals $10 and children under 12 are free. There is plenty of parking and there is a large tent and canopies if it rains. Picture a vegetable garden full of bright flowers and variable foliage. Instead of a giant garden with straight rows of vegetables, you have many smaller beds, each a jumble of vegetables, herbs and flowers. A waste of space? Not at all! It turns out that vegetable gardens that exult in variety are inclined to be the most productive. Companion planting, folks – that’s the name of the game. A classic book in the lexicon of gardeners is Carrots Love Tomatoes. Since this book came out, however, many others have joined the bookshelf, and one of my favorites is Great Garden Companions by Sally Jean Cunningham. This book has almost become my garden bible because it is not only chocked full of great gardening advice, but it is immensely readable! The key to a successful garden really is variety. You want to avoid the monoculture. When you plant expanses of just one type of plant (be it trees, flowers, or vegetables), you increase the odds that some disease or insect pest will find it and destroy it. If, on the other hand, you mix things up, garden survival rates soar! But you don’t just want to chuck plants/seeds haphazardly into your garden; you need to follow a plan, you need to mix and match appropriately. For example, carrots and onions/chives are great companions. Carrots can be susceptible to carrot rust flies and onions/chives deter them. Onions are great for companions for many plants, actually, because of their pest-repellent qualities. Carrots also like caraway/coriander, calendulas and chamomile. Beans and potatoes – these are a classic combo because the beans will help deter Colorado potato beetles. Here’s my two cents worth on this: bush beans yes, pole beans no. Make sure you use the right beans! Beets and onions are another good pair – alternate these root vegetables in your garden plots (I’ll discuss garden plots vs garden rows in another post). Your cabbage family plants (like broccoli) do well with aster family plants (like zinnias, dill and marigolds). Growing corn? Then you might want to try the traditional corn-beans-squash trio that many of our native people used (and still use). Plant your greens among your garlic, or under your cucumbers, or under broccoli and cauliflower, where the leaves will shade the tender greens from the harsh summer sun. Tomatoes do well with basil and peppers – all your pizza ingredients in one bed! Nasturtiums, cosmos, calendulas and marigolds all feature prominantly in my veg garden – they provide wonderful spots of color, but also attract pollinators and other beneficial insects. Buckwheat is another great attractant for pollinators, and it’s also a great green manure when turned into the soil. So break away from the boring vegetable garden. Turn it instead into a riot of color and textures. Mix and match your herbs and flowers and vegetables, and then see if your produce doesn’t do better for the effort. 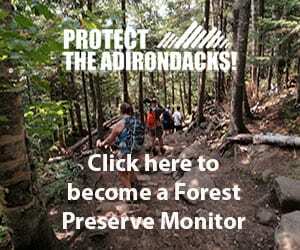 Laurie Davis, Adirondack Harvest Coordinator, has announced a new opportunity to market local farm and forest products. 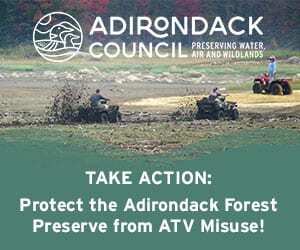 Dave and Cynthia Johnston, owners of DaCy Meadow Farm on Route 9N in Westport, are opening a farm stand exclusively featuring Adirondack Harvest products. For a small fee ($5 for 2009) they are willing to sell your products at their stand with no markup and no profit to themselves; participants will receive full retail price for their product. According to Davis “their goal is to support Adirondack Harvest and our members while providing a beautiful farm stand for local folks and tourists.” The stand also includes an agricultural art gallery and hosts special events. 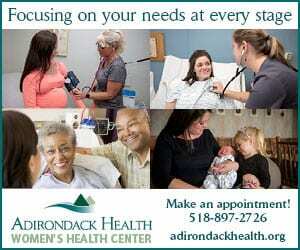 They are situated along Route 9N – a very busy road near Lake Champlain. 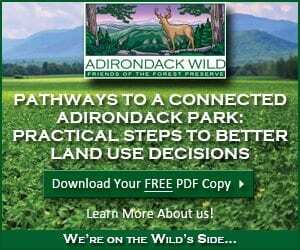 For more information contact Dave Johnston at 518-962-2350 or email via at dacymeadowfarm@yahoo.com. While we’re at it, check out the new website developed by the North Country Regional Foods Initiative – www.nnyregionallocalfoods.org – which provides information on how to find regional foods and resources to help communities support and expand local food marketplaces. The new website includes links to online tools designed to connect producers and consumers, research-based publications about North Country local foods, a calendar of local food events, and links to ongoing local foods work in the North Country. The forecast says the low temperature tonight in Saranac Lake will be 22 degrees. The apple tree we share with a neighbor decided to bloom yesterday. What to do? Since the tree has thrived at an elevation of about 2,000 feet for longer than anyone living in this neighborhood can remember, it must be a pretty cold-hardy variety. But a deep freeze at blossom time really threatens to thin the crop. So we called Bob Rulf, who owns Rulf’s Orchards, in Peru. He said it wouldn’t be such a bad idea to light charcoal in a couple of grills beneath the tree (this is a pretty big tree) and keep the smoke rising. Between 4 a.m. and 8 a.m. is the coldest part of the night, Rulf said. The temperature is only supposed to get down to about 29 degrees in Peru, the more-temperate apple basket of the Adirondacks. Cornell Cooperative Extension advises that when an apple blossom is tight and in the pink it can stand 30 degrees F for an hour; when it’s wide-open white it can stand 28 degrees for an hour, which seems counterintuitive, Rulf said. His orchard is not equipped with wind machines or any large-scale equipment for dealing with frosts, so he’ll take his chances with the apples. However Rulf does plan to tow a furnace around the strawberry patch tonight with helpers riding along to blow hot air on that crop. North Country Gardening: Innoculations for Vegetables? Believe it or not, some of your vegetables will benefit from the application of an innoculant. We’re not talking vine flu here, or spinach pox, but the addition of a few beneficial bacteria to give your veg an extra boost. And not just any veg: legumes. Legumes are those vegetables that have nitrogen-fixing nodules on their roots, which enable them to access naturally occurring nitrogen much more readily than plants that don’t have them. Your basic legumes are peas, beans, peanuts, and fava beans. And with the probable exception of the peanuts, all can be grown here in the North Country. The bacteria in question is Rhizobia. It is a naturally occurring bacterium, but apparently it isn’t terribly active. In order for it to be of tremendous benefit to your plants, you need lots of it! This is where the innoculant comes in. Innoculant can be ordered from almost any seed catalogue. It does have an expiration date, so you should check to be sure that what you purchase is good for the year you want to use it. I bought some last year but never used it. I found it in a drawer of my fridge this spring and decided to see if it was still viable. I’ll let you know. So, you get this little packet of Rhizobia (millions and millions of them in one tiny packet). How you apply it is up to you. You can shake it onto your seeds after you plant them, you can shake your seeds in a bag with it, or you can mix it up as a slurry and soak your seeds in it. I did the latter: 4.5 oz water and the bacteria. It was like mixing up mushroom spoors in water: a very fine black powder. If you go the water route, you must be sure to not let it dry out – use within 24 hours. Don’t let the wind dry your seeds, either. If the innoculant dries, the bacteria are dead. The only real downside that I discovered in doing the slurry method is that my fingers and hand ended up coated with the black slurry of bacteria as well. Hm – I wonder if I’ll absorb more nitrogen this summer as well. Do you have to use innoculant? Of course not. I never have before now, my parents never did, and I doubt my grandparents did either. But sources claim that you can have up to 77% more peas/beans/peanuts if you do use it! Hm. I picked an awful lot of peas last year. I planted even more this year, and I used the innoculant. I may be overrun with peas. Wouldn’t that be a shame? 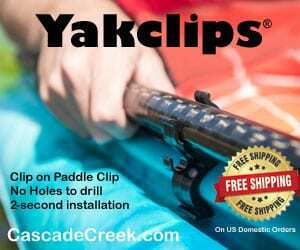 Recreation: hunting leases, cabins, and cottages for various seasons. Take a look at www.aplacetohunt.net and www.woodlandowners.org. Silvapasture is leasing for grazing or browsing. Although now somewhat limited for elk and deer due to Chronic Wasting Disease and it’s not for sheep or cattle (they cause too much forest damage), there are opportunities for goats. Goats love burdock, beech, and especially poison ivy. They still may need to be fed if they are grazing in strictly forested lands. Maple syrup production – I’ve already covered that here. Ginseng, goldenseal, bloodroot, black cohosh, ramp/wild leeks, and fiddleheads are just a few of the botanicals that can be managed on forest lands for profit. 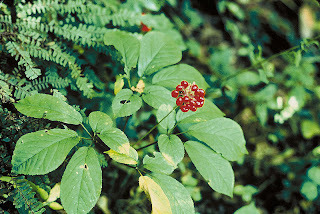 Contrary to popular belief, while nothing can be taken from state land, only ginseng and goldenseal are regulated on private land. Old ginseng can sell for $1,700 a pound. Other opportunities include native ornamental plants like foam flower, maidenhead fern, and a lot more. In 1900, there were 5,000 ginseng farms in New York State and New York was the leading producer. Mushrooms: chanterelles and morelles can be gathered, but oysters and shitakes can be grown at home (shitakes can bring $16 a pound). This spring has many of us North Country gardeners in a quandary: do I put in my peas yet or not? The rule of thumb here in Newcomb is not to plant before Memorial Day Weekend, but this year the weather has been so balmy so early that we are itching to get those early veggies started. 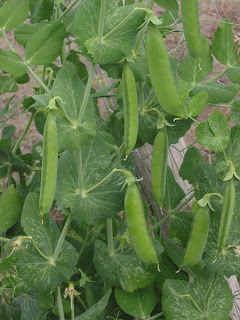 Seed packets come with instructions like “Plant after all danger of frost has passed,” or “Plant as soon as the ground can be worked.” The latter applies to peas. And with the scorching weather at the end of April, it was really really hard NOT to plant – I had to keep telling myself, “It’s still April.” And even though peas and spinach are cool weather plants, killer frosts and even snow are not out of the question. I ran into a neighbor that last weekend in April and we immediately started talking peas. 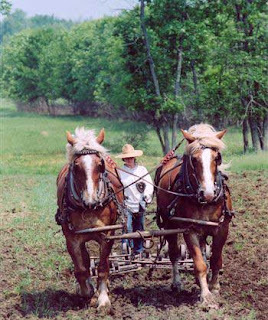 He said that if he could get his tiller going that day, he’d plant his; I heard the tiller rumbling the rest of the morning. And I hear that the doctor over in Long Lake put his peas in, too. I decided to spend the day prepping my veg beds instead, getting ALL of them ready for planting a little later in the season. Last Sunday, as the weeding continued, I uncovered a whole bowlful of leftover potatoes in one of the beds! Mmmm – fresh potatoes in May! I even have undug onions and last year’s leeks resprouting! We’ll see if they grow into edible bulbs. Meanwhile, every day the tomatoes are getting a bit taller in the kitchen, and the squashes I started are, eh, doing so-so (I was a bit over-anxious and started them a wee bit too soon). The flower seeds I started a week or so ago are sprouting now, too. So, we wait and practice patience. Still, there is something appealing in being able to plant the garden BEFORE the blackflies come out! We got a great laugh around the house here a couple weeks ago when my neighbor Mike — a guy who’s full of Adirondack lore — began extolling the virtues of eating Adirondack beaver. A quick search turned up actual beaver recipes. It turns out, unlike deer which are hung in woodsheds, barns and garages all over the North Country during hunting season, beaver needs to be soaked overnight in salt water to remove the blood from the meat — trapped beaver don’t bleed out. 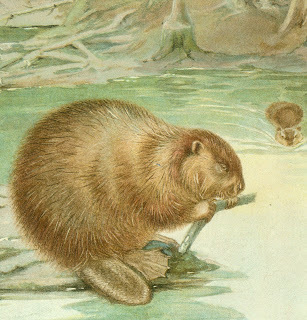 So much discussion of beaver got me thinking about the history of Castor canadensis — North America’s largest rodent and the second largest in the world — which was driven to near extinction in the Adirondacks around the turn of the last century, but whose reintroduction was astoundingly successful. » Continue Reading. Nearly everyone who endures long Adirondack winters understands how important flowering houseplants and a bit of green can be to lift the spirits. An African violet on the window sill or a simple spider plant in the hall can make a difference! Adirondack housekeepers felt the same need for “green” in a winter landscape a century ago. However, the practical challenges of indoor gardening would have been daunting. Before central heating and modern insulation — water sometimes froze at night, while overcast skies and the expense of window glass made houses perpetually dim inside. 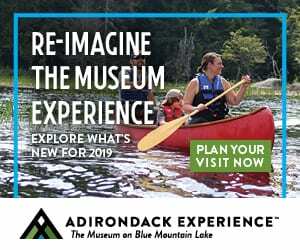 Adirondack Museum Curator Hallie Bond will present “Mountain Greenery” on March 22, 2009 at the Museum, a program on the joys and challenges of keeping houseplants at the turn of the last century. Diaries, historic photographs, and regional literature document how Adirondack women once added cheer and beauty to a long, dreary season. 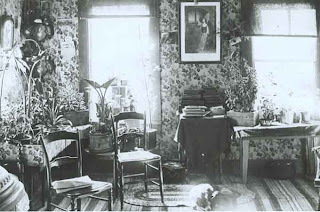 Houseplants were also treasured because they provided connections to others in the community. Adirondack women cut blooms for winter weddings or funerals and shared cuttings with special friends. “Mountain Greenery” will provide an interesting footnote to the history of nineteenth century rural life and offer tips about hardy heritage houseplants for today’s indoor gardeners. 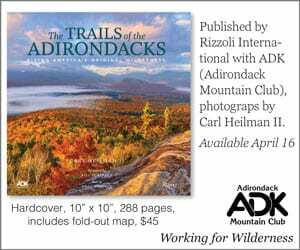 ‘ Children’s Camps in the Adirondacks, Syracuse University Press, 2005. The program is part of the museum’s popular Cabin Fever Sunday series. 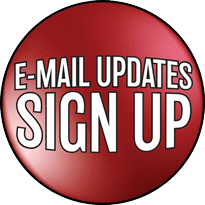 Held in the Auditorium, the presentation will begin promptly at 1:30 p.m. Cabin Fever Sundays are offered at no charge to museum members and children of elementary school age or younger. The fee for non-members is $5.00. Refreshments will be served. For additional information, please call the Education Department at (518) 352-7311, ext. 128 or visit the museum’s web site at www.adirondackmuseum.org. The farmer-led Northern New York Agricultural Development Program has added resources for meat and dairy goat producers to its website at www.nnyagdev.org. The website includes fact sheets prompted by the Empire State Meat Goat Producers’ Association (ESMGPA) and prepared by Cornell University’s Animal Science Department on feeding, breeding, pasture management, health care and the Kidding with Confidence mentoring handbook sponsored by Cornell Cooperative Extension and ESMGPA on the site. A January 31st meeting set for 1-3 pm to provide resources and information for those raising or interested in raising meat, dairy and pet goats will be held at the Cornell Cooperative Extension of St. Lawrence County Learning Farm in Canton and telecast to the Extension offices in Watertown and Westport. The meeting will cover general goat management and care and marketing. 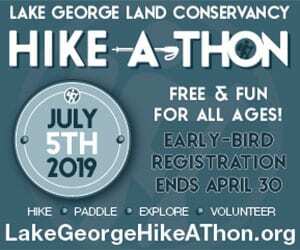 The meetings are free, however, pre-registration is requested – call Cornell Cooperative Extension at 315-379-9192 x234 for St. Lawrence County, at 315-788-8450 for Jefferson County, and 518-962-4810 for Essex County (pre-registration required). According to meeting organizer and Livestock Educator Betsy Hodge with Cornell Cooperative Extension of St. Lawrence County, there is an interest in meat goats in the North Country and a need to provide resources that relate to farms in New York. The Cornell fact sheets now available on the Northern New York Agricultural Development Program website apply to goat farming in the Northeast and are especially good for people interested in starting a goat enterprise to read before purchasing goats. According to Cornell Cooperative Extension of Jefferson County Dairy & Livestock Educator Ron Kuck, Jefferson County has farmers raising goats for meat, for milk and for value-added product sales, such as goat’s milk soap. They are always interested in the latest information that will help them enhance their production and marketing practices. Meat goat producer Karen Stumpf of Thousand Islands Goat Farm in Cape Vincent, NY, is Region 2 Director for the Empire State Meat Goat Producers Association. Stumpf thinks goat farming has great potential to add to the agriculturally-based economy of Northern New York. She says they are beginning to establish new herds and develop the networking that will support marketing, processing and sales opportunities for all producers. Dr. Tatiana Luisa Stanton, a goat specialist with Cornell University’s Animal Science Department is currently developing the kidding season mentoring program for 2009. The program pairs experienced, knowledgeable goat farmers with new producers as they experience their first kidding season. The Northeast Sustainable Agriculture Research and Education Program provided funding for the on-farm evaluations. Those interested in the mentoring program may contact Dr. Stanton at Cornell University at 607-254-6024, tls7@cornell.edu, or call your local Cornell Cooperative Extension office. The Northern New York Agricultural Development Program provides on-farm research, education and outreach to the diverse agricultural sectors in Clinton, Essex, Franklin, Jefferson, Lewis and St. Lawrence counties. 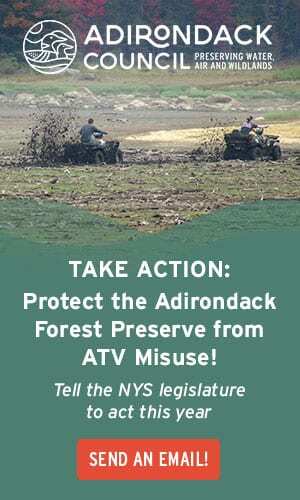 Learn more at www.nnyagdev.org. The Wild Center and Cornell Cooperative Extension have partnered on a beginner gardening series at the Wild Center in Tupper Lake. Aspiring gardeners can join the crew from Cornell Cooperative Extension and The Wild Center for a series of presentations focusing on gardening skills for people who want to start or expand their gardens. Getting a successful garden going can be tough, especially in the North County, and this series is designed to help people get past the first few hurdles that stop too many area gardens before they get going. Participants will find out what to plant, where to plant it, and how to keep plants alive. The series includes practical ways to start growing vegetables, berries and/or herbs in your own backyard. The beginners gardening workshops will be interactive and packed with information you can take home and put to use. Veteran gardeners are welcome to join in and share their knowledge. Do you have a great garden in mind but aren’t sure where to begin? One of the first steps is to plan your gardening space and decide if you should plant in open soil, containers, or in raised beds. Join Anne Lenox Barlow, from Cornell Cooperative Extension of Clinton County, to learn what gardening layouts are most appropriate for your yard, lifestyle and needs. Proper planning prior to the start of the planting season will put you on track to have a bountiful harvest this summer and fall. 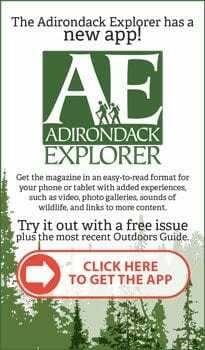 Following a detailed presentation, Anne will facilitate small group conversations and allow time for you to talk with an Adirondack gardening expert. Do you dream of fresh tomatoes? Lettuce galore? Luscious berries? Join Amy Ivy, from Cornell Cooperative Extension of Clinton County, as she explores your gardening selection possibilities and makes suggestions for easy-to-grow plants for beginners. Following a detailed presentation, Amy will facilitate small group conversations and allow time for you to talk with an Adirondack gardening expert. Potential gardeners shouldn’t be scared away by the short growing season in the Adirondacks. Join Richard Gast, from Cornell Cooperative Extension of Franklin County, to discuss some techniques for extending the growing season that have been successful in the North Country. There are devices that can add a few weeks to the front end of your growing season and again in the fall as well as ways to make the most of our short growing season. 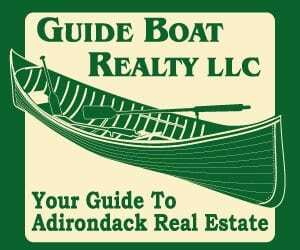 Following the detailed presentation, Richard will facilitate small group conversation and allow time for you to talk with an Adirondack gardening expert. Are you worried about battling beetles, deer or groundhogs in your garden? Are you wondering how veteran gardeners manage their insect, disease, or weed problems? These gardeners have learned ways to help their plants thrive while protecting the environment. 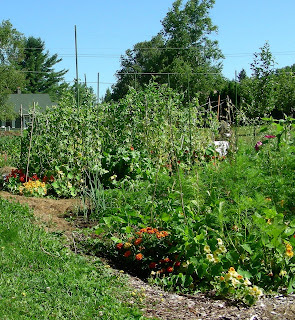 Emily Selleck from Cornell Cooperative Extension of Essex County, will share her knowledge of tips and ideas to make your garden healthy and productive. Following a detailed presentation, Emily will facilitate small group conversations and allow time for you to talk with an Adirondack gardening expert. This program is free for members or with paid admission. No pre-registration is required. 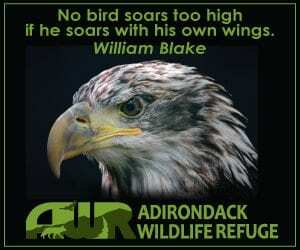 For more information on The Wild Center and its programs, visit www.wildcenter.org or call (518) 359-7800. More and more consumers are looking for local foods. Community leaders are increasingly supportive of developing farmers markets and other venues for regional farmers to sell their products locally. A new website developed by the North Country Regional Foods Initiative – www.nnyregionallocalfoods.org – provides information on how to find regional foods and resources to help communities support and expand local food marketplaces. Publications on the new website range from how to find money to strengthen local food systems and guides to increase the consumption of local farm products to cookbooks, advice on how to serve local foods at events, and economic analysis of farmers’ markets and other community-based food systems. The site also includes the North Country Regional Foods Initiative’s series of research briefs, fact sheets and recommendations intended for other farmers, food business owners/operators, consumers, policymakers and community & economic developers working to enhance and sustain agriculture in Northern New York. The report includes social and economic impact data generated by local/regional foods operations and the Northern New York-based organizations that support them and a summary of the spring 2008 conference on the role of Adirondack North Country foods in community and economic development. The initiative was developed through a partnership of the Cornell Cooperative Extension Associations of Clinton, Essex, Franklin, Hamilton, Jefferson, Lewis and St. Lawrence counties and the Economic Development Administration University Center at CaRDI and designed to document how local food businesses and activities benefit the northern New York region and identify strategies for enhancing those benefits. 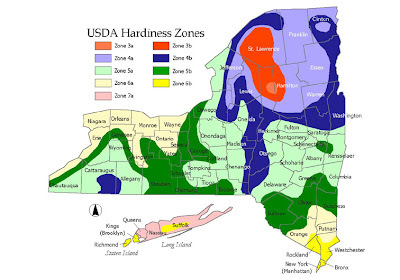 According to CaRDI’s Ag Economic Development Specialist, Duncan Hilchey, consumer surveys, in particular the Empire State Poll conducted by the Cornell University Survey Research Institute in 2007, show that 78.5% of the New York State residents age 18 and older buy local foods and 37.4% of that group said they go out of their way to buy local food. Partnerships between producers, consumers, community and economic developers and local officials can serve as a model for bringing community members together to support other regional development efforts. Those interested in learning about and supporting local food activities in the North Country may now join a regional electronic network. USDA Community Food Systems – A Nutrition Assistance Program through USDA, contains general resources and information from farm to table and links to specific topics such as eating in a community food system; food entrepreneurship; and, community food systems research; http://fnicsearch.nal.usda.gov/fnicsearch. Rivermede Farm owner-manager Robert “Rob” Hastings of Keene Valley, NY, was selected from more than 60 nominees from more than 20 states for the sixth annual Glynwood Harvest Farmer Award. The awards recognize leaders in the farm community who practice sustainable production and have developed cutting edge approaches to production, processing or marketing. The Glynwood Center of Cold Spring, NY, is a not-for-profit organization that helps communities sustain local agriculture and preserve farmland through economically-productive and environmentally-sensitive practices. The Glynwood Harvest Awards Selection Committee includes representatives of farming, conservation, culinary and community food security interests from across the U.S. The awards were presented at Beacon Restaurant in New York City. Hastings is recognized as an exceptional innovator and community leader for New York’s Adirondack Mountain region. He has pioneered advances in season extension and pesticide-free production of vegetables, fruits, maple, cut flowers and holiday greens. Hastings uses a photovoltaic system to meet the farm’s electrical needs and plans to install a geothermal or solar heating system to heat his greenhouses. He says that he hopes to be ninety percent free of oil dependency in the next three years. Hastings is a founding member of Adirondack Harvest, the community-based farms and foods program. He serves on Northern New York Agricultural Development Program (NNYADP) Horticulture Sub-Committee, helping to guide the regional research, education and outreach program that funds projects to enhance the productivity and profitability of farms in New York’s six northernmost counties. 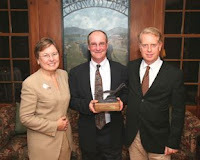 Adirondack Harvest Chairman Thomas F. Both helped make the nomination of Hastings for the Glynwood Award. Hastings participates in NNYADP on-farm research and regularly hosts workshops for other growers interested in learning more about his use of high tunnels for extending the growing season for horticultural crop production. He shares his experiences with the pros and cons of the various types of tunnels, construction, glazing, and cropping patterns. He says his goal is to develop production practices that will allow me to grow multiple crops 12 months a year in the challenging Adirondack climate. Rivermede Farm Market at 1925 NYS Route 73, Keene Valley, NY, is open May through December daily 9am to 6 pm. That’s Rob Hastings of Rivermede Farm in the center of the photo receiving the 2008 Glynwood Harvest Farmer Award from Glynwood Center President Judith LaBelle and Chairman of the Board Chip Allemann.